The EIC’s Advisory Board is a diverse group of Edgemont community leaders who support incorporation. They’ve each expressed their willingness to serve a new Village of Edgemont as elected officials or as members of village committees. Please note that, pursuant to New York law, all elected officials will ultimately be chosen by a vote of Edgemont residents in a formal election in which any eligible Edgemont resident can run. 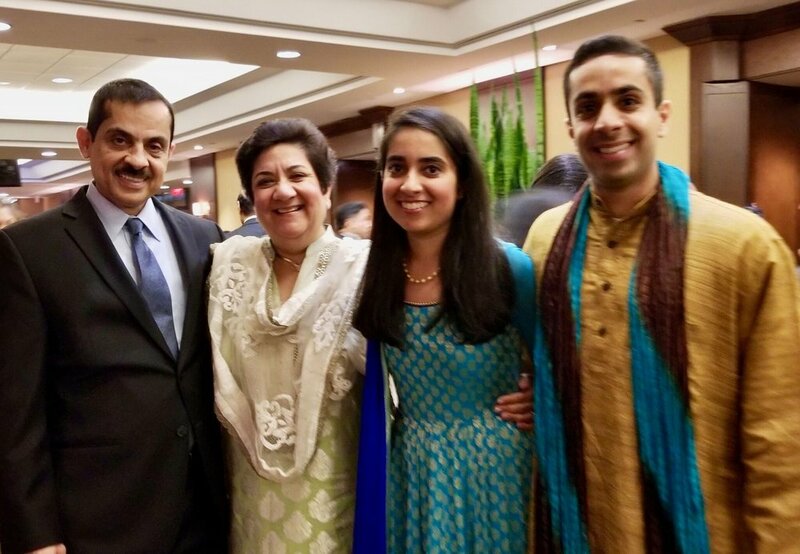 This profile is of Mrinal Jhangiani, a 20-year Edgemont resident who helped launch an online portal for preventive care of chronic diseases (nutritionvista.com) and is a longtime community volunteer. Below, Mrinal tells us why she supports incorporation and how she thinks it can improve the quality of life in Edgemont. When did you move to Edgemont? We moved from Hartsdale to the Southern Greenville section of Edgemont in 1998, so that our children could not only attend Edgemont schools but also grow up in an ethnically diverse environment. My husband is a gastroenterologist in private practice. We have two children. Our son Nikhyl graduated from EHS in 2010 and is now 25 years old. He lives in Boston and works in the field of digital health. Our daughter Tasha graduated from EHS in 2014 and is now 22. She just moved to Washington DC to attend graduate school and work for the U.S. Foreign Relations Committee. What have been your major community involvements? Over the years, it has been a privilege volunteering in Edgemont at both the school and community level. At Greenville, I was very involved with the PTA (serving as a class parent, helping at the teachers’ appreciation luncheons, and being a member of various committees). I have also been an ECC director (representing Southern Greenville), a School Board Nominating Committee member, and President of the Southern Greenville Civic Association. Why do you support incorporating Edgemont into a village? We moved to Edgemont for the quality of education, proximity to Manhattan, and community-centered lifestyle that Edgemont offered to all ethnicities. Upon moving here, we wanted to embrace the same principles of community involvement embodied by those who came here before us. Therefore, in addition to volunteering within Edgemont, I tried to stay engaged in the Town of Greenburgh’s work on planning, zoning, safety, and taxes. However, year in and year out, I saw the town board members ignoring the common-sense pleas of Edgemont residents. And since the Edgemont population was only a small fraction of Greenburgh’s total population, they knew they didn’t have to listen to us. I’m concerned about our high taxes and the fact that we have to pay for Greenburgh’s mismanagement of legal issues, but my primary reason for supporting incorporation is that I trust my Edgemont neighbors’ ability, sincerity, and dedication. I believe that they will do a better job managing our revenue and expenditures. Edgemont schools are efficiently run by school board members who live within Edgemont, send their kids to the same schools, and treat all of us with respect. I am confident that we will elect a fair-minded village board to run Edgemont. Are there any specific initiatives that you hope to see a Village of Edgemont focus on? My husband and I plan to retire in Edgemont. I believe that an Edgemont village board can and should focus on ways to keep empty-nesters here: addressing our exorbitant tax burden, building better sidewalks so that our children can safely walk to school and our older residents can easily walk to Central Avenue, finding ways to develop more green open spaces that we can all enjoy, and creating community programming within Edgemont for our retirees.